West Coast Armory of Issaquah is a full service gun shop located in the Eastside, in the heart of Issaquah, less than 20 minutes from Bellevue, Redmond, Kirkland, Sammamish, North Bend, and Renton. The Issaquah shop opened in 2007, and has been the premier firearms retail store in the Puget Sound area ever since. Our location offers the best retail prices in the region, and we offer price matching on other retail prices. 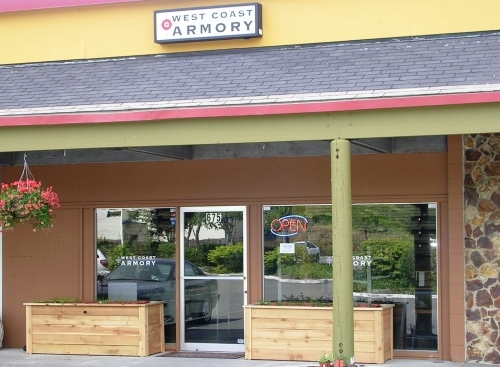 West Coast Armory has a huge selection of quality firearms, including single action Colts, World War II era carbines and battle rifles, as well a complete selection of modern semi automatic handguns, and rifles. We stock ammunition, targets, eye and ear protection as well as a gun safes and cases. Stop by and let our friendly staff help you with any firearms related questions and purchases you may have!